Dental researchers and clinical practitioners, primarily in the areas of dental materials, restorative dentistry, implantology, oral surgery and periodontics. Biotechnology and biopharmaceutical companies producing bone and tissue regenerative biomaterials. 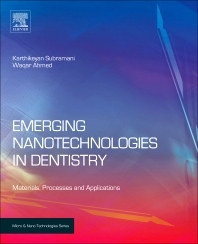 Applied researchers and academicians in the field of dentistry, nanotechnology, oral biology, biomaterials, biosensors, microbiology, biomedical nanotechnology and tissue engineering.